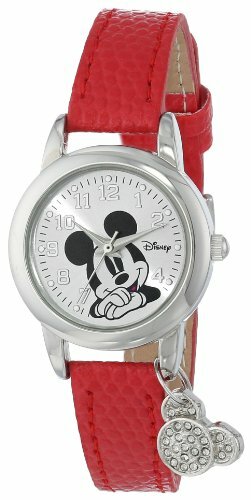 This red lizard strap watch is a cute item which you cannot miss. 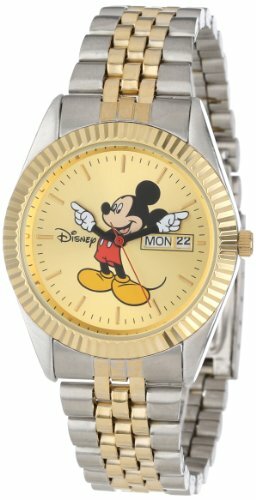 A sparkling rhinestone Mickey Mouse icon charm hanging on the polished finish round case. 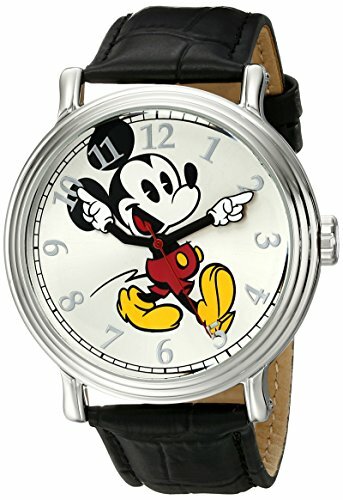 It features silver sunray dial with Mickey Mouse image, clear silver Arabic numerals. 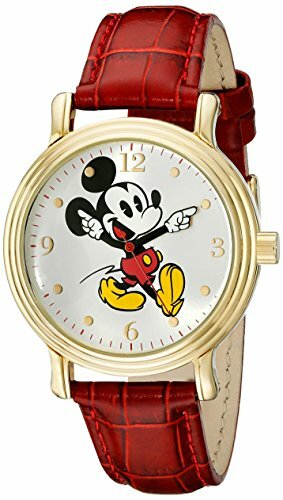 Ideal for Mickey Mouse's fans. 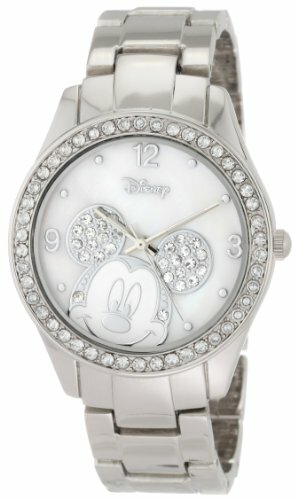 This timepiece not only tell you accuate time, but also help you to get compliment from others. 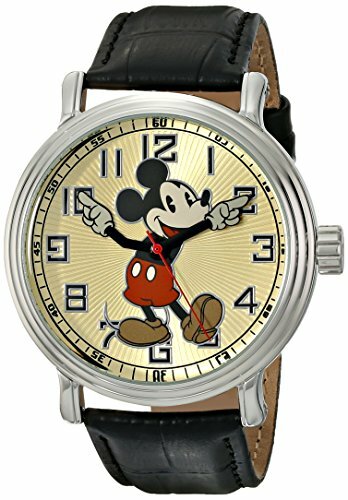 Featuring polish finish, circular genuine Mother-of-pearl dial with full color Mckey Mouse image, a mix of Arabic numerals and dots, five petty charms, jewelry clasp and precise Japanese quartz movement. 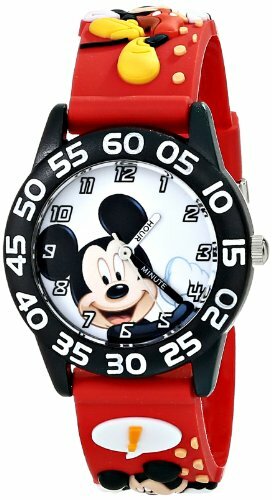 It's easy to tell the time with the Disney Boys' Mickey Mouse 3D Plastic Red Time Teacher Watch. 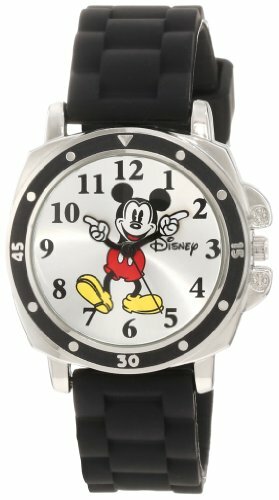 This colorful wristwatch features 3D images on the strap and a Mickey character dial your little one will love. 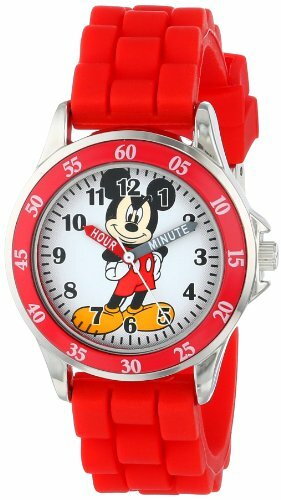 Meanwhile, the clearly labeled minute and hour hands ensure your kid won't mix them up while he's still learning.